Meet Merlot. A thinner-skinned red wine grape that originates from the Bordeaux region of France, Merlot has long been a blending partner to Cabernet Sauvignon and Cab Franc (it's, in fact, said to be a descendant of Cab Franc). 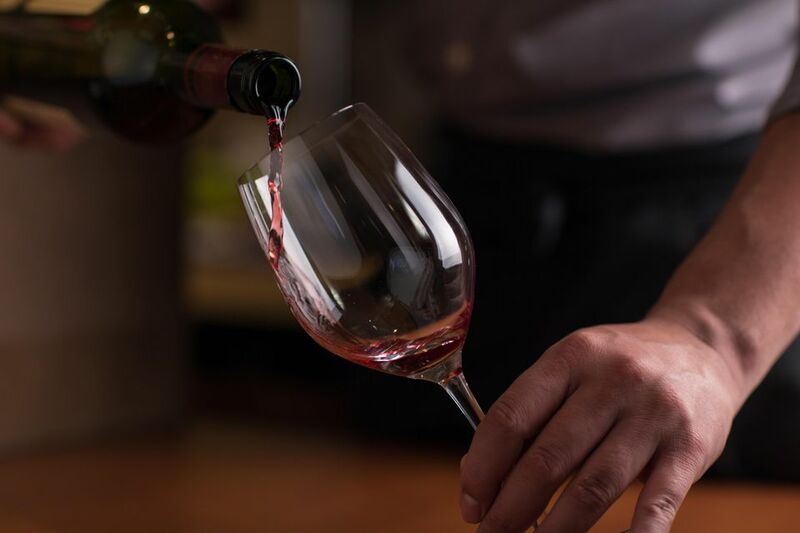 Dry in style with a medium to full-bodied palate presence, Merlot wines can carry a bit more alcohol than your average red wine grape, with ABV levels topping out at 15% with some California producers and staying under 13% in Bordeaux. The tannin structure in Merlot leans a little softer and is one reason why this particular grape makes a terrific blending partner with the tighter tannic lines of Cabernet Sauvignon. Bordeaux, Italy, Australia, Washington State, California, and Chile are all producing solid Merlot wine at an attractive spread of price points. The classic Merlot grape originated from the Bordeaux region of France (label hint: look for St. Emilion, Pomerol, and Fronsac to find a right bank Bordeaux blend that will carry a higher percentage of Merlot in the blend). Merlot typically produces a soft, medium-bodied red wine with juicy dark fruit flavors. Classic Merlot often pops the nose with cherry and cocoa (similar renditions play out on the palate as well). Warm baking spices like vanilla and clove along with earthy undertones in the tobacco leaves, wet earth, and smoke arena can also make their aromatic mark on Merlot. A range of fresh flavors such as plums, cherries, blueberries, and blackberries mixed with cocoa and black pepper tones, often dominate the palate flavors for Merlot. Cooler growing regions (think France, Italy) tend to showcase more tannin and more muted fruit flavors, often highlighting the earthier notes in lieu of ripe fruit. Warmer growing regions (California, Chile) bring out the ripe fruit character and silkier tannin structure in a regional Merlot. While single varietal Merlot is bottled more today than it has been in the past, Merlot is still recognized as a terrific blending partner for other varietals, with classic, French partners being Cabernet Sauvignon and Cabernet Franc. By blending Merlot with these wines, a symbiotic relationship can exist. The Cabs are softened, mellowed a bit and the Merlot enjoys more structured and defined. A win-win, where the blending goal for complementary grapes is amplified to amplify the strengths and diminish weaknesses through the beauty and synergy of a well-designed blend. Fairly versatile when it comes to food pairing options, especially when centered around a medley of meat. Grilled, braised, baked, broiled—opt for poultry, beef, game, and pork, along with dishes that feature heavy meat-loads in the recipe mix or strong flavorful cheese like Stilton, cheddar, and Camembert.